We’re on PART 10! 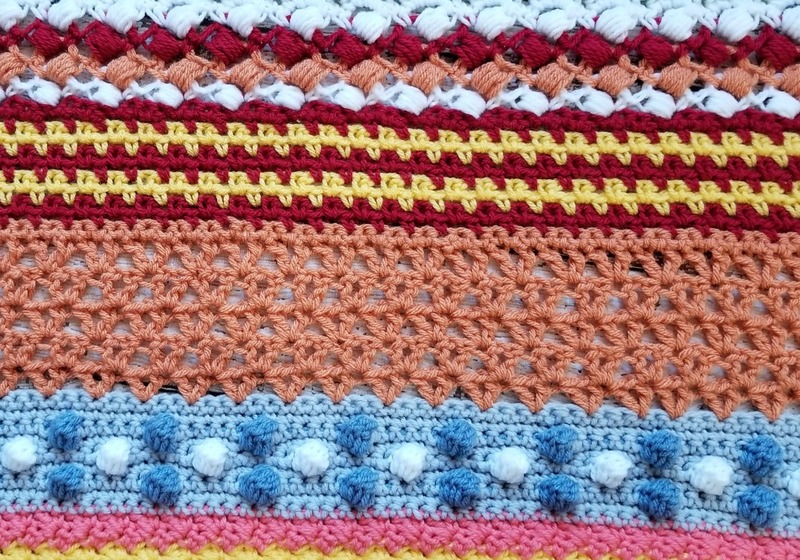 of the Stitch Sampler Scrapghan! Can you believe it? 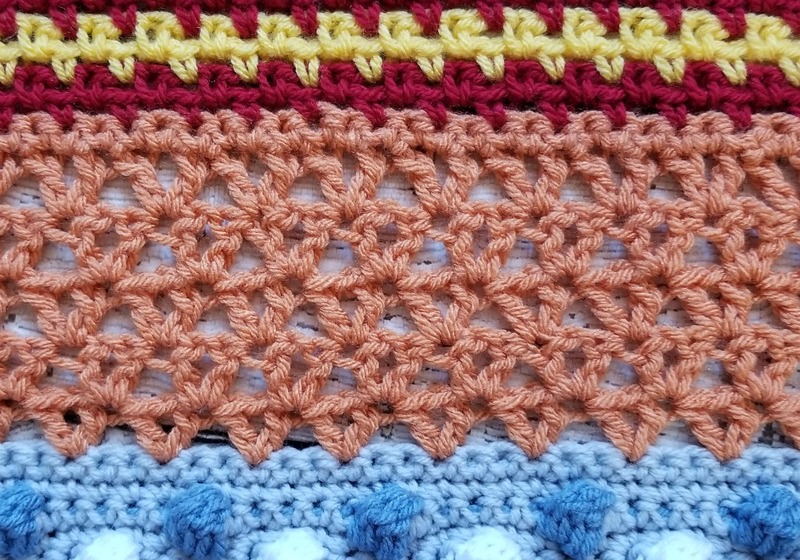 This week is one of my favorite stitches, the Offset V Stitch. I’ve used it quite a few times and I still have more plans for it! Thank you for following along with this CAL! I’ll see you next Friday with Part 11! 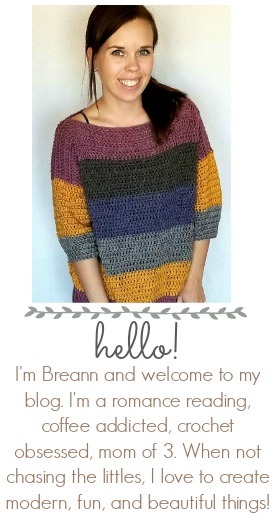 Breann your afghan pattern is beautiful, thanks for giving it to all of us! 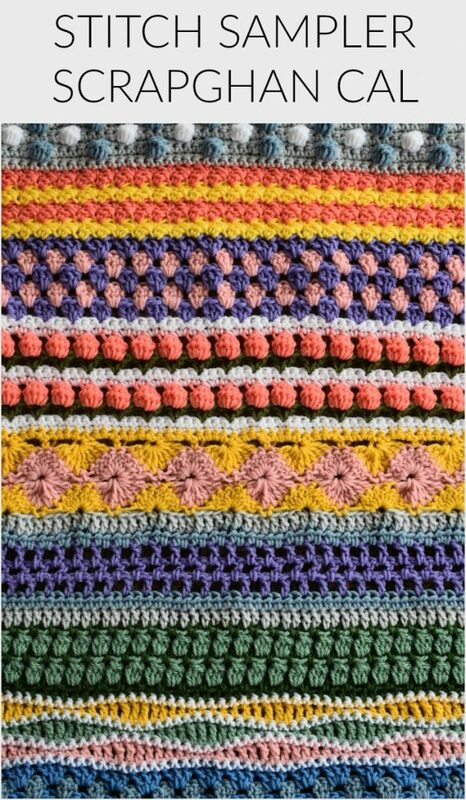 I plan on crocheting 3 or 4 of them with all the tons of scrap yarn I have stashed. Wish I could send photo. Even with Catherine Wheel tutorial on Youtube; I cannot do Row 5-Wheels. Won’t lie flat, they look like bobbles. Any helpful hints to make them work?